Here's an interesting stat for future trainers: the U.S. Department of Labor estimates that employment in fitness-related roles will increase by up to 13% between 2012 and 2022, due to rising interest in healthy living and fitness. The prevalence of obesity and chronic diseases is also likely to drive an increasing number of people to the gym. In other words, there's never been a better time to become a personal trainer. Being a trainer isn't just a potentially great career choice though. The role is demanding, but it can be extremely rewarding. Certified trainers can benefit from a flexible work schedule, the chance to spend their work hours doing something they love, and a sociable working environment. If you're fit and healthy, and want to help other people achieve the same, it could be an ideal career. Starting any new career can be daunting though - and being a CPT isn't right for everyone. To help you take the first steps, I've put together a quick-start guide to becoming a personal trainer. As with any profession, it's important to know the advantages and disadvantages of being a personal trainer. You also need to be realistic about what it takes. Clients want to work with experienced trainers who know how to get results - and that doesn't happen overnight. Demonstrate the correct form and technique for a variety of exercises and activities. Create individualized programs to help clients with diverse backgrounds, fitness levels and goals improve their health. Coach clients on the fundamentals of health, exercise and physical fitness. Observe clients during exercise and teach corrective measures when necessary. Build a rapport with clients so they enjoy their training sessions, as this can increase the chances of results. Use science-based knowledge to advise clients on how to improve their wellness and health. (Personal Trainer Businesses) Advertise your business and "sell" personal training to gain clients. If you think you would enjoy these duties, personal training could be an exciting career for you. Do you love tweaking your personal routine to improve your results? Do you often analyze other gym-goer's routines or form? Do you enjoy working out with a partner or group? Do you get excited by seeing progress in your workouts? Do you enjoy researching the perfect form for each exercise in your routine? Do you find yourself spending hours reading fitness magazines, websites, forums or sub-reddits? Do you hate working at a desk and want a job that lets you work on your feet? You also need to be passionate about helping others. As a personal trainer, you'll probably serve clients with a range of goals and fitness levels. They all want to improve their health - and they need your help and enthusiasm to do so. Of course, passion isn't the only requirement. Dedication to your career is also vital - especially as getting certified is just the beginning of your journey. Learning to develop custom programs to increase health, strength, flexibility and endurance for a varied client-base takes dedication and practice. It doesn't happen overnight, but only with experience. It also requires hard work. Aside from the skills and knowledge required, a personal trainer also needs to be enthusiastic, friendly and sociable. Training is a professional role, but it's a personal one too. You'll get much better results if you learn to build a rapport with your clients. There are also a few prerequisites required by most certifications. All schools require you to be over 18, while most expect a high school diploma (or equivalent). You'll also need an adult CPR and AED certificate. This depends on your current experience and how much time you can dedicate to studying. Some prospective trainers pass their exam after a couple of months of hard study. Others take much longer - in some cases up to a year. This is why it's important to check the expiry date of an exam token when purchasing a certification package. If it runs out before you're ready to take the exam, you'll need to pay for another. Some organizations only sell exam tokens separately for this reason. Once you've decided a personal training career is right for you, it's important to understand the costs involved. The average certification exam costs around $250-$400 without the training materials. You'll almost certainly need at least some of the textbooks, webinars, seminars and classes provided by your chosen organization though. These cost anywhere from $200 up to $1500 depending on which school and package you choose. Once you've qualified, there are ongoing costs too. All organizations require you to recertify on a regular basis (usually every 2-3 years) and there is an associated fee. You'll also need to complete continuing education units, which may cost up to $500 per year. If you plan to setup your own business as a PT, you'll need liability insurance. 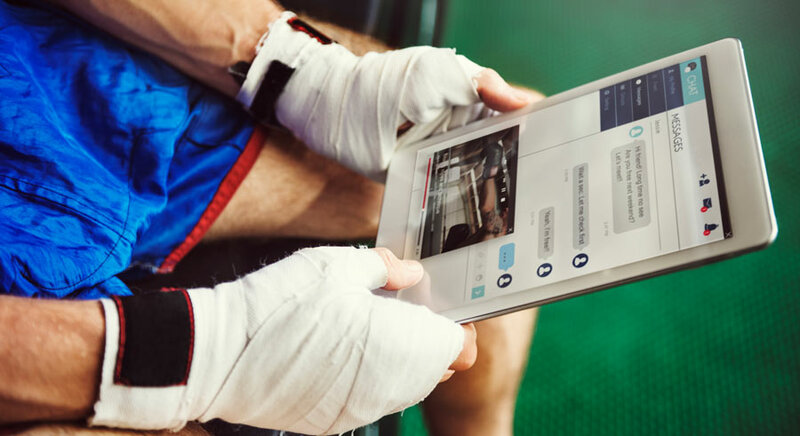 The cost varies depending on the coverage and provider, so you'll need to research the right insurance for your fitness trainer business. While this might sound like a lot, training to become a personal trainer is actually cheaper than most professions. Make sure you fully understand the upfront and ongoing costs before you start your career though. The next step is to choose a personal training certification. This isn't a license (personal training is unregulated), but a top certification opens up a range of job opportunities, as gyms usually won't accept an uncertified trainer. You'll also need a certification to get liability insurance. If you want the short version, the best certifications are accredited by a respected organization (usually NCCA) and provide a well-rounded syllabus. If you want to work for a specific gym as a fitness instructor, make sure they recognize a certification before you pay for it. 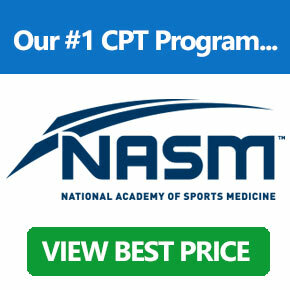 NASM - The National Academy of Sports Medicine provides a well-rounded program that's widely recognized and NCCA-accredited. It's my #1 pick for trainers who want to work with the average fitness client. ACE - The American Council on Exercise is another excellent certification that's widely accepted by many gyms. If you want an alternative to NASM, or your chosen gym doesn't accept it, ACE is probably one to go for. NCSA - If you want to train athletic clients, this is a great certification. It still provides a well-rounded syllabus but with a slight gearing towards healthy and active clients. Note: While it isn't strictly necessary, all trainers should learn how to become a certified personal trainer. Certification is relatively cheap compared to other professions and proves you at last have a basic level of knowledge. It's also needed for most jobs and insurance. By this stage, you've found the best certification for your goals and have bought the learning materials. Depending on the organization, you may also have an exam date (or at least a deadline). The next step is to get studying. Hard. Your exam date will come around quickly, so it's important to be fully prepared and know the syllabus. Even if you don't have an exam date, you should set a "soft" deadline to avoid procrastination. Studying isn't just important for the exam though. The information you'll learn is vital to being an effective and safe personal trainer. Every hour you invest in studying is an hour you're investing in your future, so don't leave it until the last minute. How should you study though? Many of the top certifications provide a wide range of learning materials. These include textbooks, study guides, practice quizzes, online forums, email support, in-person training days and more. This can be overwhelming, so I recommend finding the core study material - often a textbook - and starting with that. Then use the other tools to supplement your knowledge. If you're struggling to retain the information you're learning, try spaced repetition. It's proven to help recall - and you can use a free tool such as Anki so it doesn't cost anything. The next step on the path to becoming a personal trainer is obvious: pass your certification exam! 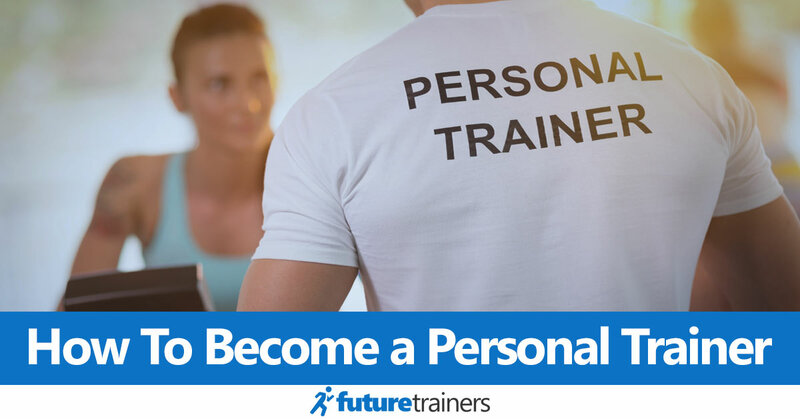 Once you pass, you'll be a certified personal trainer and ready to begin your new career. Exams are usually multiple choice and contain around 120-160 questions, although the pass rate varies. This is also a good time to check your certifying organizations career resources. Many have guides on how to get a job, insurance and other important details, along with discounts for essential equipment. If you fail your first certification test, don't despair. Most certifications charge less for a retake. I don't recommend retaking immediately though. Spend some time working on your weak areas so you can be sure of passing next time. Work for a gym that employs personal trainers, such as LA Fitness, Equinox or any other. Jobs are regularly available at many gyms. Start your own independent personal training business. There's no "right" option - the best choice depends on your goals. It's often a good idea to work for a gym to start with, however, as you'll gain experience while benefiting from greater security and the perks of being employed. As with any job, make sure you read your contract carefully, as there may be clauses limiting when you can leave to setup your own business. Even if you want to start your own independent business, you're unlikely to have enough money to setup a gym. For this reason, many studios or gyms allow you to pay for access to their facilities. While this is a much cheaper way of getting started, you'll still need to build your own client list. You also won't have employment perks such as stability, liability insurance or health insurance. The upside is that you can be your own boss and set your hours. It's vital to make sure you have proper liability insurance from a reputable company. If something goes wrong when training a client, which can happen even to experienced trainers, this can protect you. 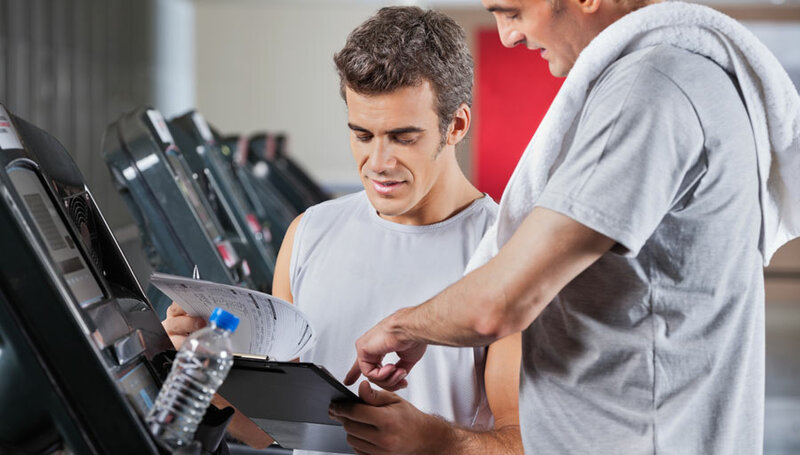 Many gyms provide insurance to their employees, although it's always important to check. If you're setting up your own business, you'll be responsible for getting insurance. Don't take risks with personal training insurance. Passing your certification exam is just the beginning of your personal training education. One of the most exciting things about personal training is that there are endless seminars and courses you can attend to learn new techniques. You'll need to attend these to maintain your certifications (all schools require a set amount of CEUs for renewal), but they are great opportunities to improve your skills. There are also a number of specializations. These allow you to target a subset of the fitness population with certain needs, such as athletes, people with illnesses or youth training. You can also get qualifications in specific types of training, such as kettlebells, yoga or weight lifting. It's important to remember that you shouldn't try to do everything though - at least not when you first qualify. Focus on the type of client you want to pursue, then gain certifications that can help you provide the best service to these people. The quote "you can do anything, but not everything" is just as applicable to personal training as it is in other areas of life. Most importantly, don't be one of those new trainers who treats the basic tools in their certification as the only way to train. Keep an open mind to learning new skills, always continue your education and don't be afraid to try new things. It's important to stay fit and healthy when you're working as a personal instructor. Clients usually don't want a trainer with purely theoretical knowledge. They want to be trained by someone who lives and breathes fitness, and has the personal results to show it. Additionally, you'll need to lead your clients through a variety of tough workouts. Your clients will respect you more if you can complete these workouts. Most people thinking of becoming a personal trainer do so because they love fitness and health, so this often isn't an issue. Don't neglect your own fitness though. Personal training can be one of the most exciting careers if you're passionate about fitness. It's rewarding to watch your clients reach their personal goals and improve their health, plus many people love working in a gym rather than an office. The steps in this article can help you begin your career as a personal trainer - but they are just the start. Once you've qualified and started to get clients, don't forget to learn new techniques. Take part in new fitness classes to pick up ideas and techniques. Network with experienced fitness professionals and ask them questions. The more you're exposed to new ideas, the faster you'll learn and the better your training will become. Most of all, enjoy it! I hope this article has helped simplify how to become a personal trainer. If you're struggling to choose a certification, check out the in-depth guide on our certification page (including our #1 recommendation).